Eha Street Roadway Improvements | Community Planning and Engineering Inc. 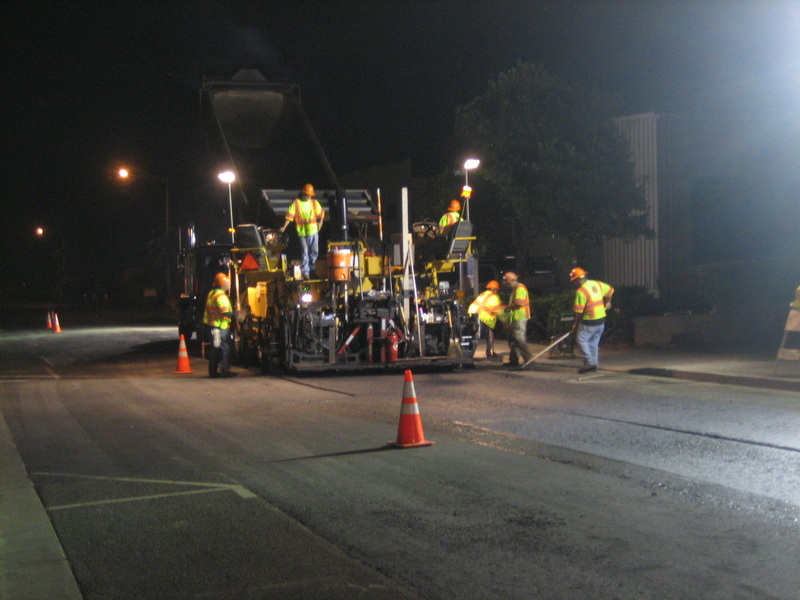 This project involved reconstructing Eha Street with an asphalt concrete and asphalt treated base pavement section. Other road features consisted of reconstructing concrete curbs, gutters, and sidewalks; curb inlets and catch basins; replacing traffic loop detectors; pavement striping and markers; and other incidental items. 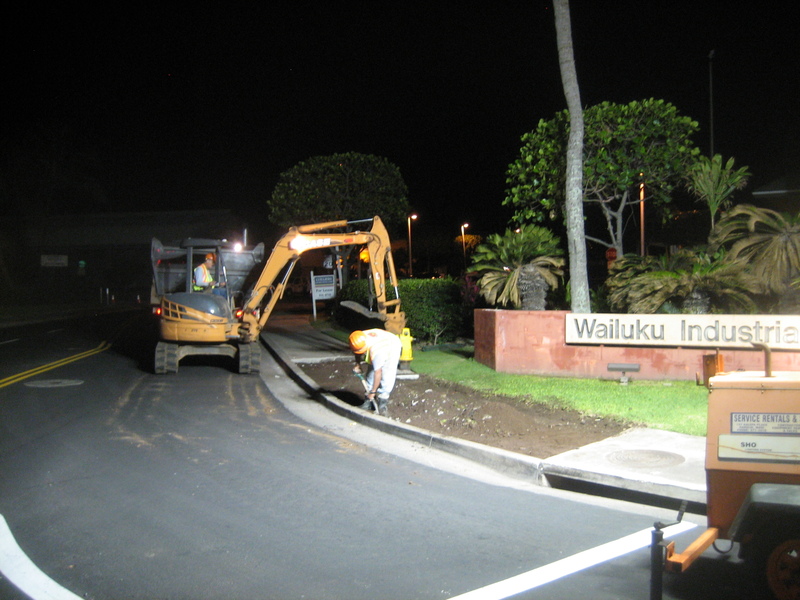 Our professional construction management team provided the required inspection and construction management services stipulated by Maui County. 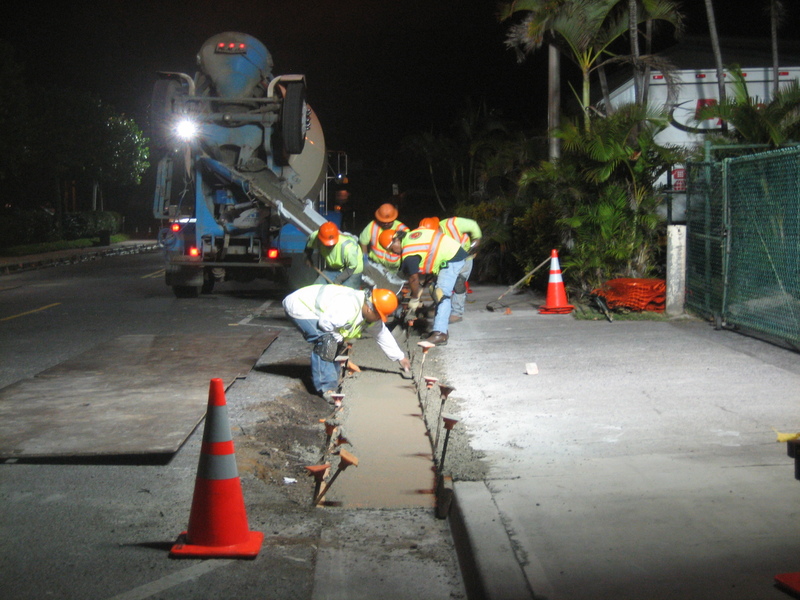 The roadway had to be kept open while work was performed in this area. To minimize public inconvenience, disruptions, and other disturbances, most of the improvement work that was below allowable nighttime decibel levels was done at night, and other work was scheduled for the weekends when the businesses were closed.